Weekend Obsession: Behind the Scenes at Ayesha Somaya Zodiac Shoot! 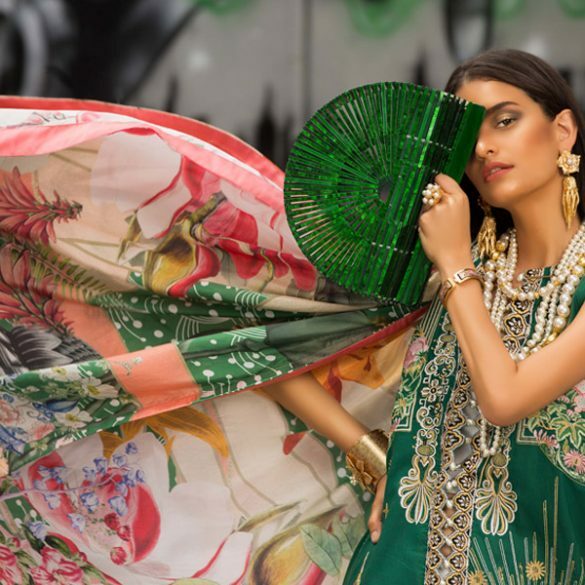 Ayesha Somaya are all set to release their debut signature digital print collection and it promises to be a fun one with something for everyone! The label will be releasing twelve original prints inspired by each of the zodiac signs and we bring you the first look at three of them in our exclusive behind the scenes sneak peek on shoot with the awesome team of Ayaz Anis, Raana Khan, and Amna Babar. Launching first are Cancer, Leo, and Aries interpreted beautifully by the team. Rather than a literal repetitive universal sign print, Ayesha Somaya capture the intrinsic mood with an artistic interpretation through design and color. The stunning Amna Babar was styled to reflect a chic modern feel by stylist, hair and makeup artist; Raana Khan. Purple captures the romance and emotion of Cancer while energetic red ribbon-like swirls denote the fiery ambition of Aries and finally shaded lion strokes represent the fearless and talented Leo. The abstract prints are translated into fusion silhouettes with silk twisted capes, high waisted pants and elongated vests. Subtle self embellishments on trousers and camisoles sets off more formal cocktail elements to dress up the separates. We appreciate the thought behind the designs as while accessories can make a statement rather bluntly, clothes require a more understated technique. The printed Leo pants and vest are especially a favorite for their easy to carry chic appearance and warm hues. We will soon bring you a first look at the rest of the delightful horoscope collection prints releasing shortly. These will be available at the Ayesha Somaya flagship store and can be custom ordered at the studio. Apart from the new horoscope prints we bring you a sneak peek at Ayesha Somaya’s exquisite white layered ensemble from their Cocktail line consisting of an embellished flared cut work cape, and self thread worked cigarette trousers with a short tunic. The all white look is simple, luxuriant, and effortlessly graceful. Roberto Cavalli sandals, an electric blue silk drape tunic with a sequin gold camisole and stacked bangles. Stay tuned for the complete shoot coming up shortly. Visit the Ayesha Somaya Profile for more collection images and details. What's in Store? : A Guide for the Last Minute Eid Shopper!